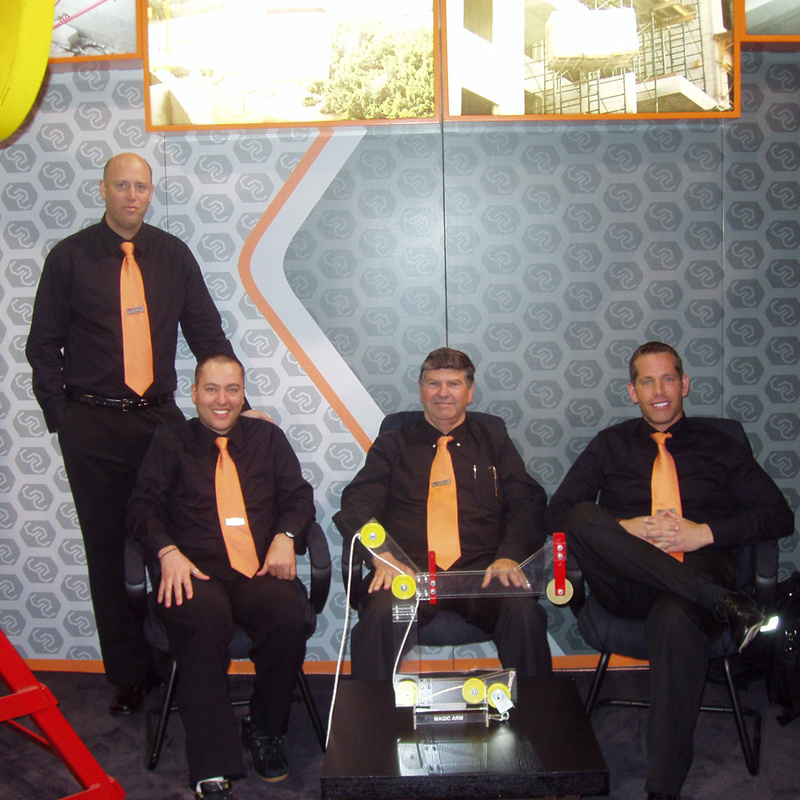 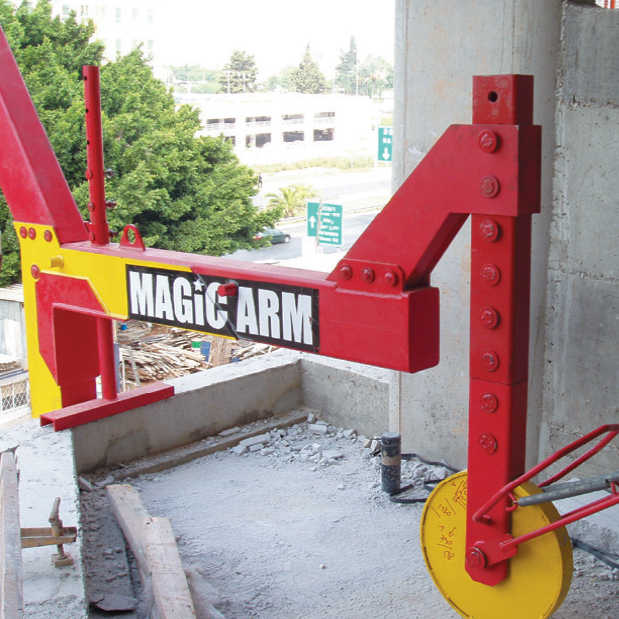 The revolutionary patent – Magic Arm – allows to insert and position any type or size of load directly onto the required floor without requiring temporary decks and lifts, therefore does not endanger the workers in any way. 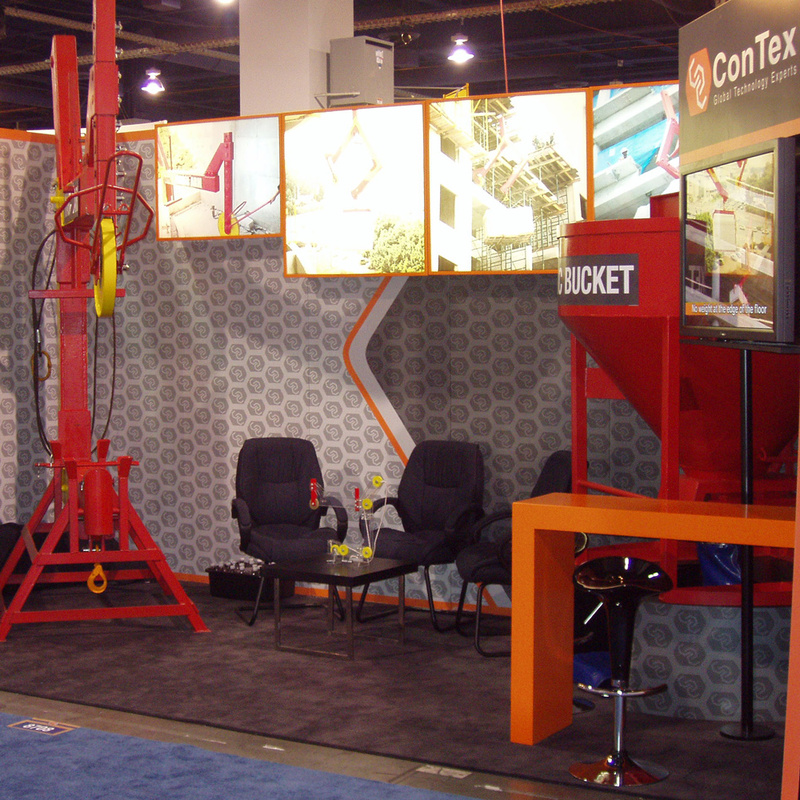 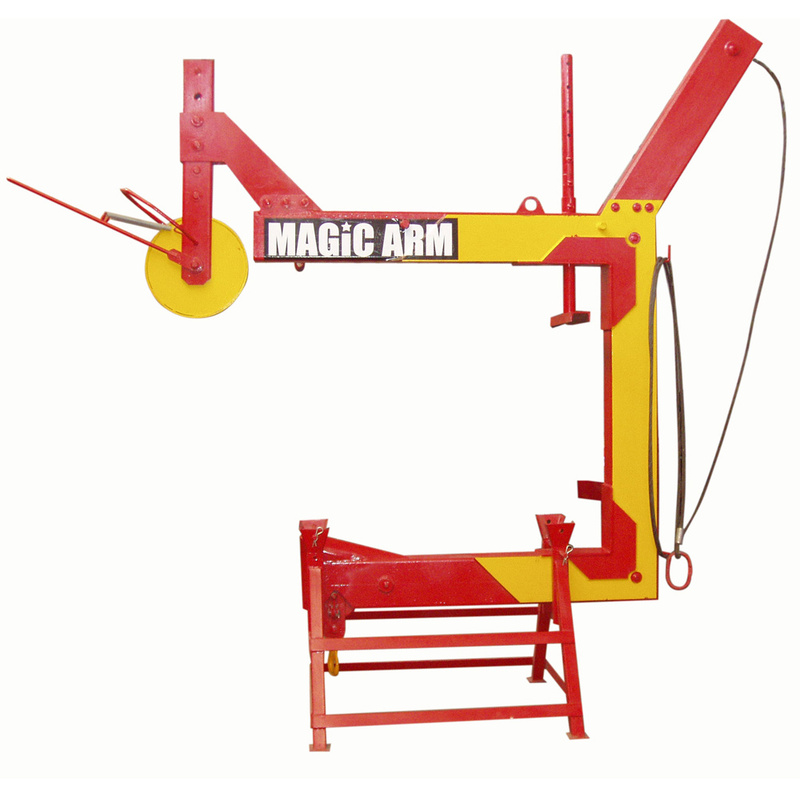 A unique engineering combination of a lifting hook and C shape arm with self-leveling mechanism. 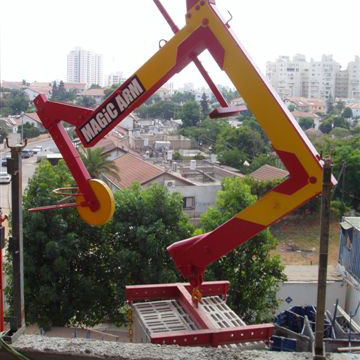 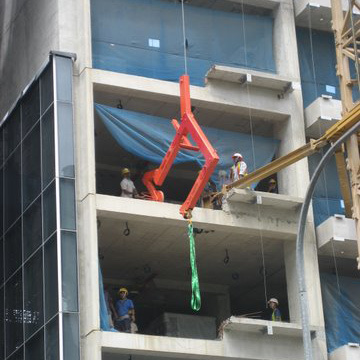 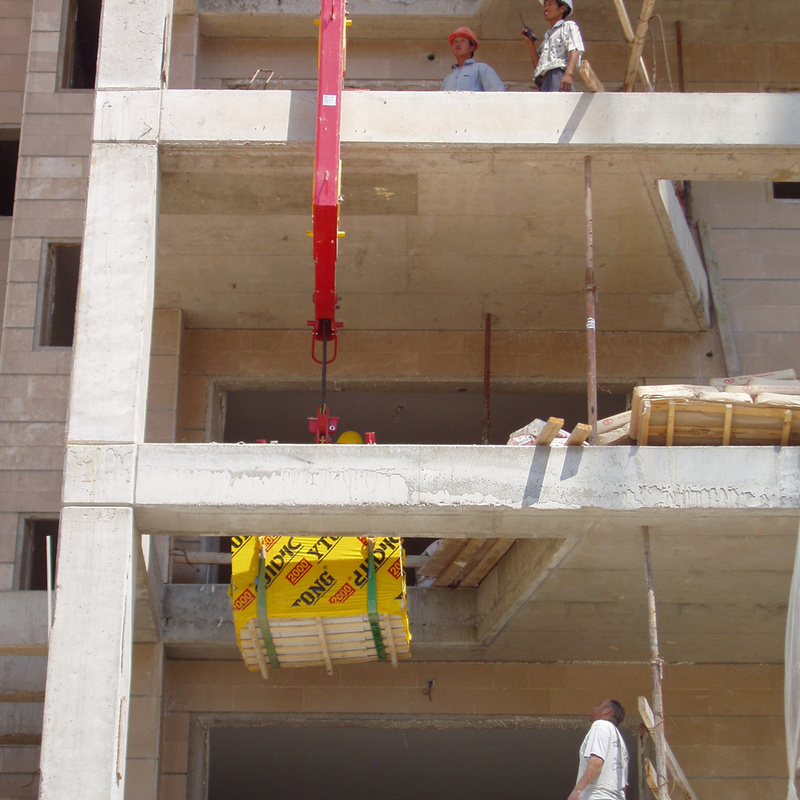 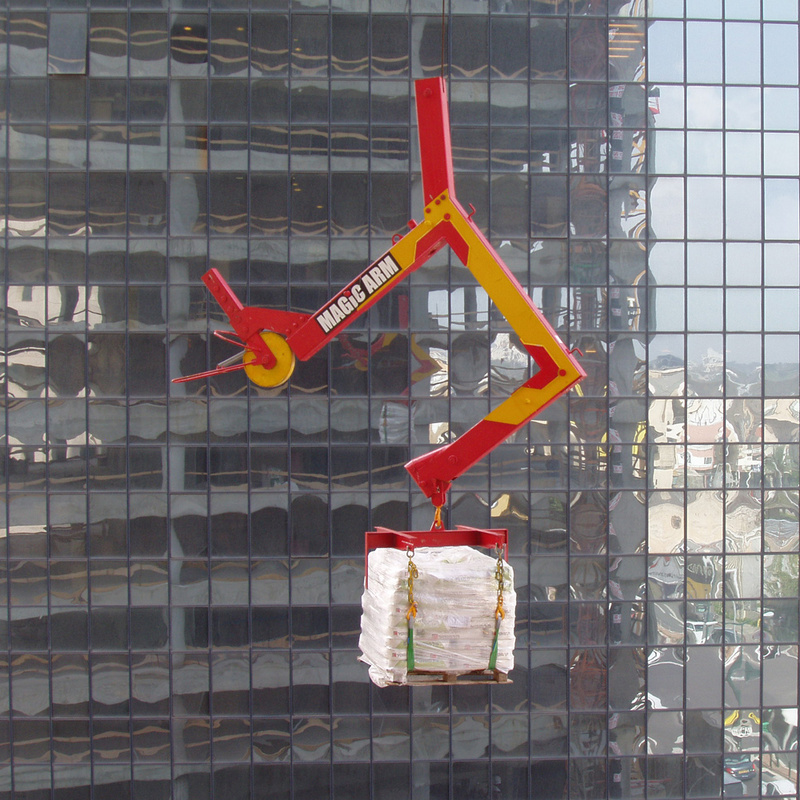 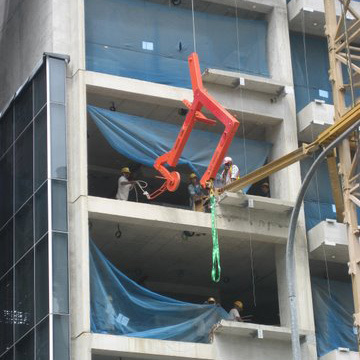 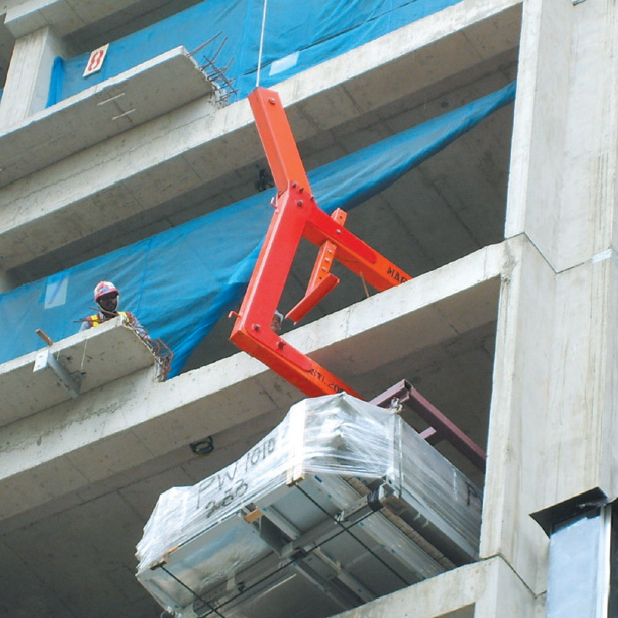 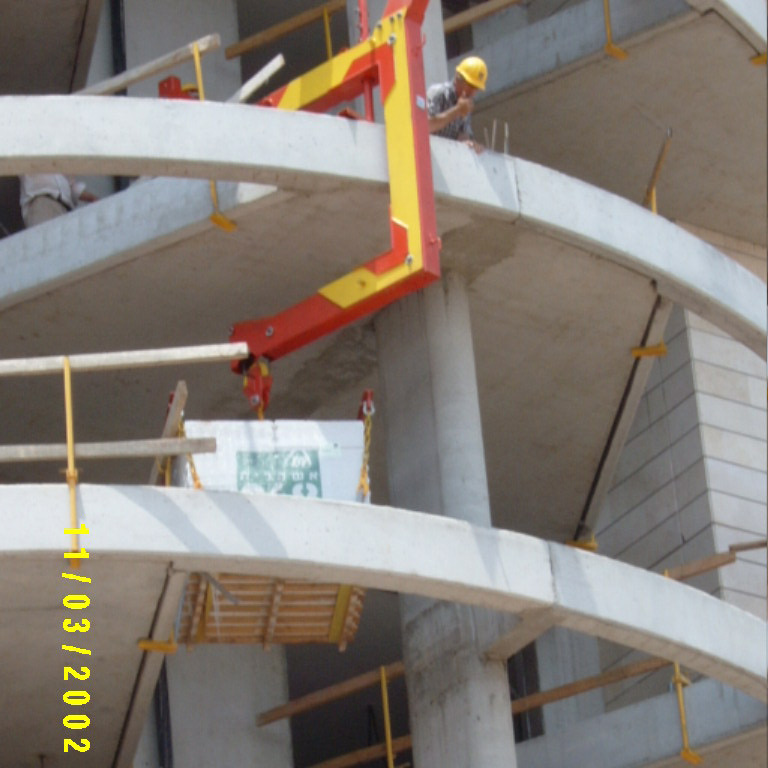 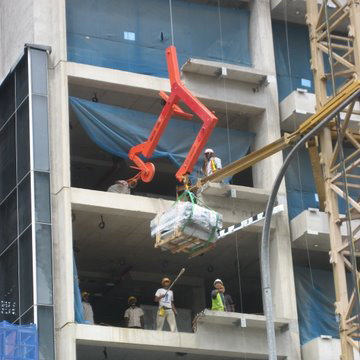 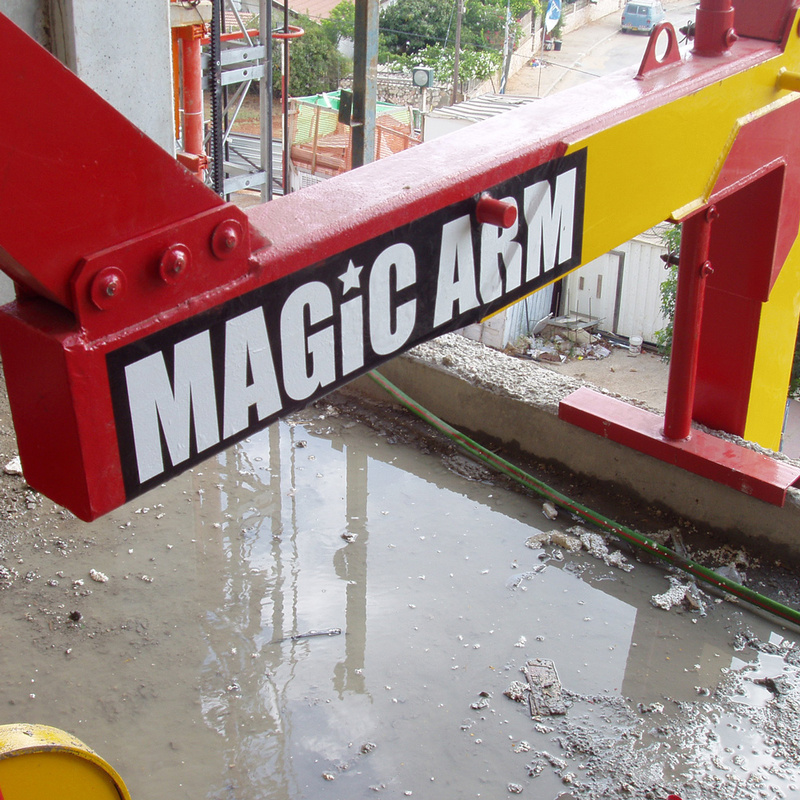 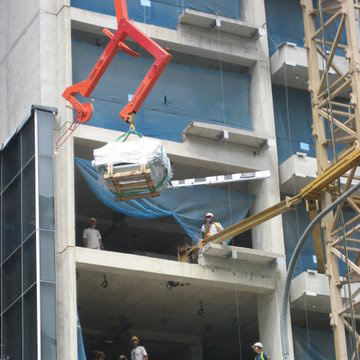 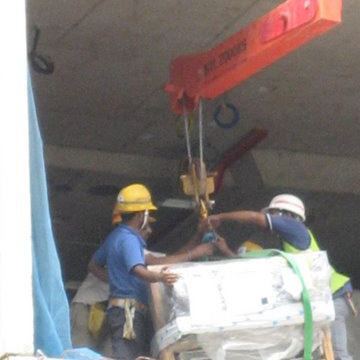 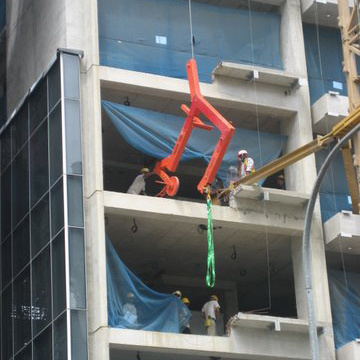 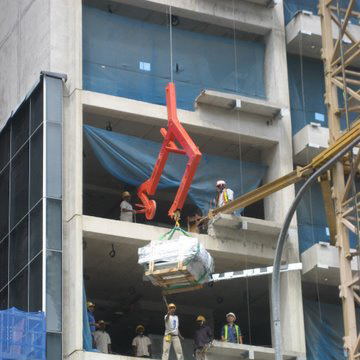 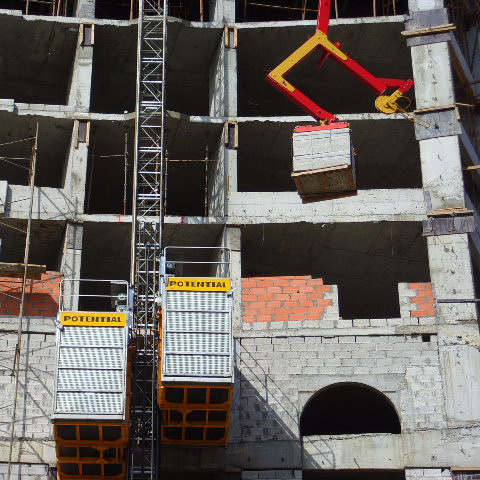 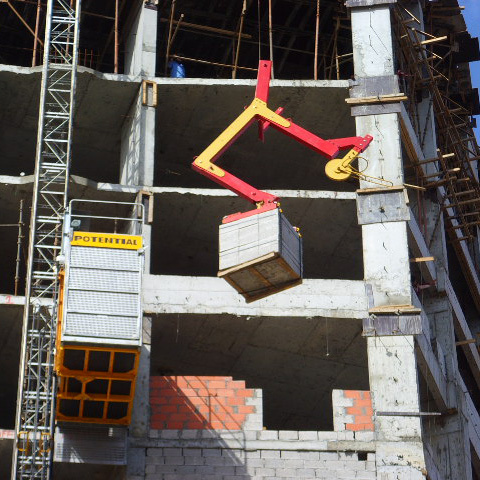 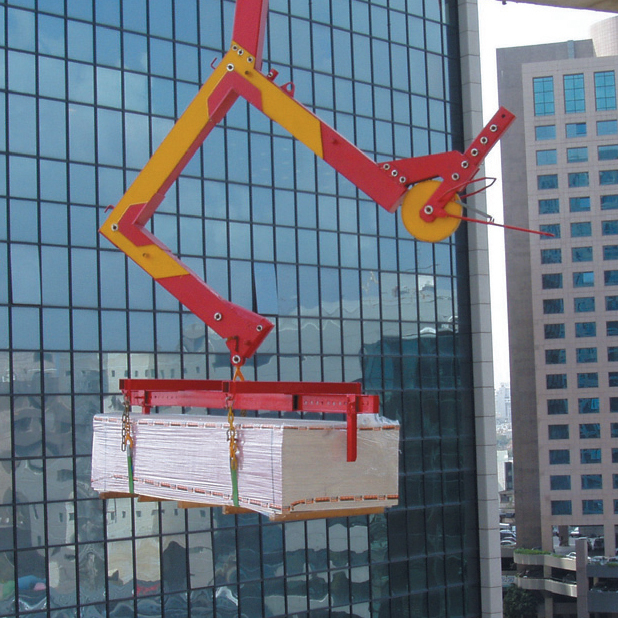 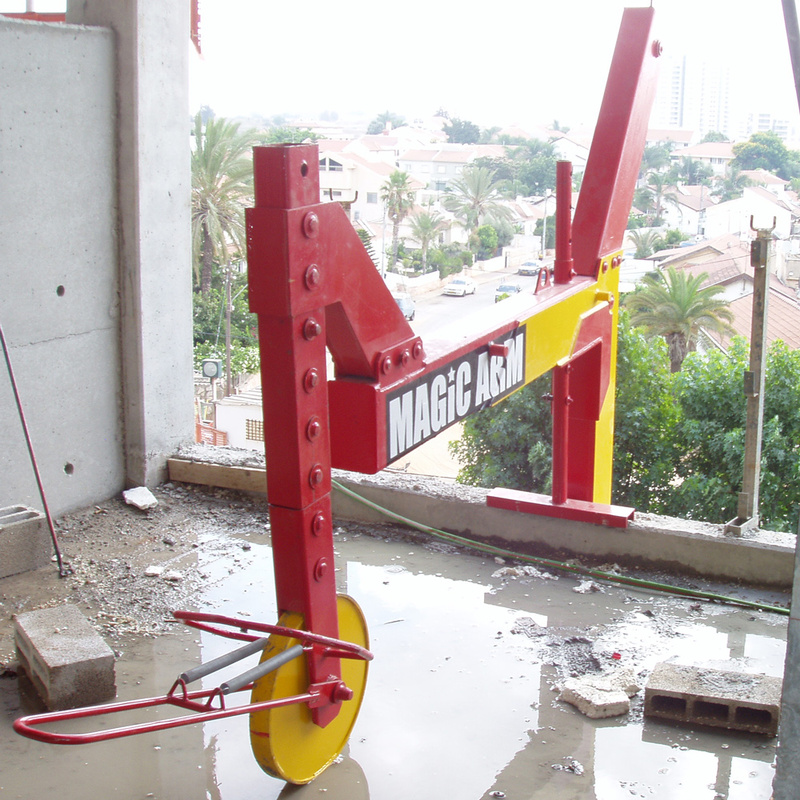 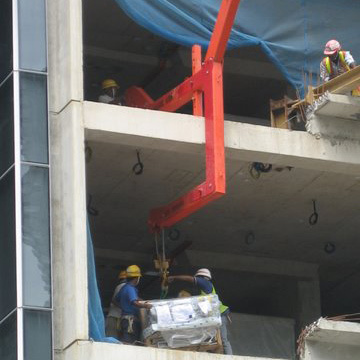 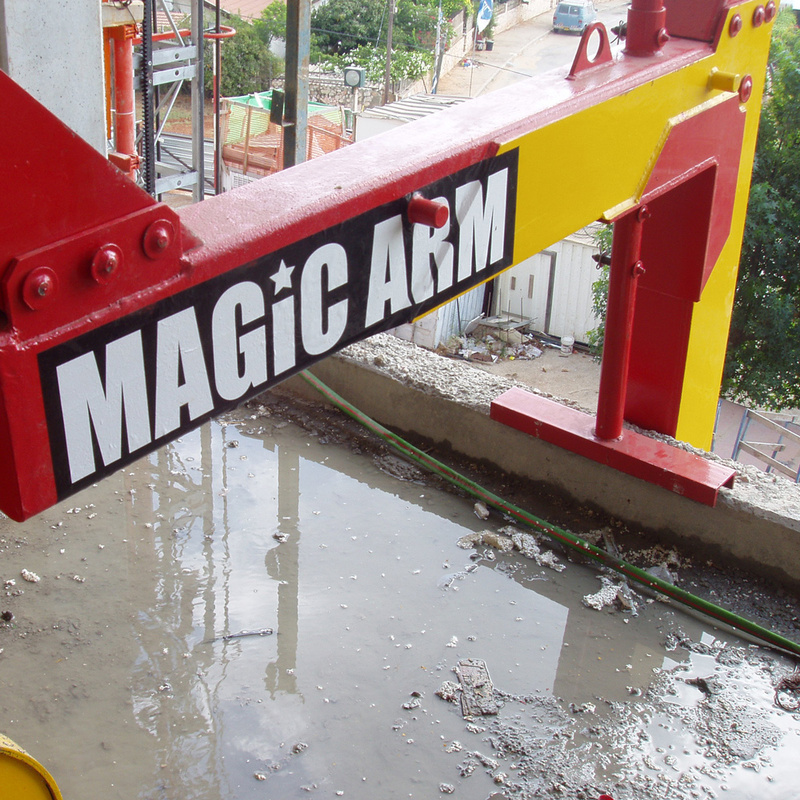 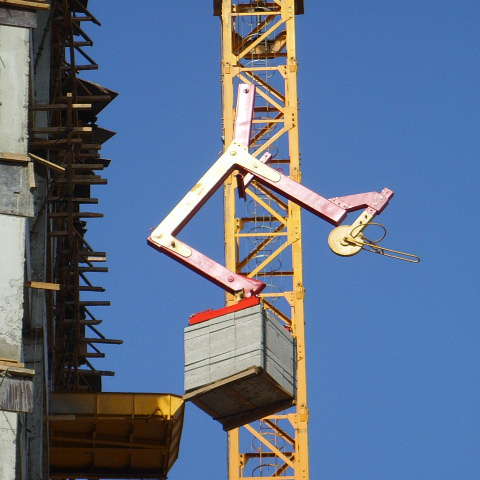 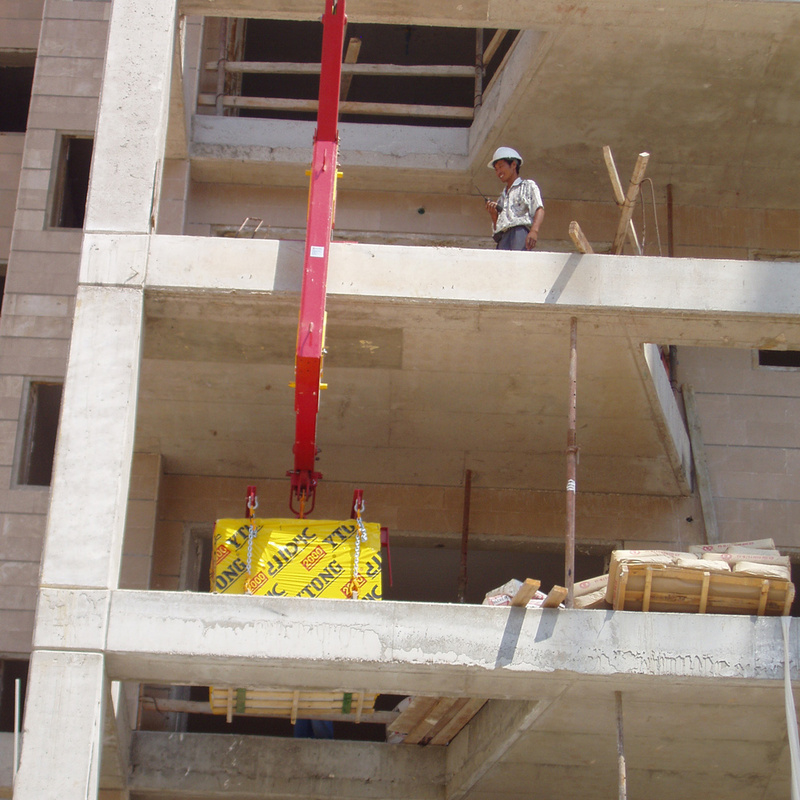 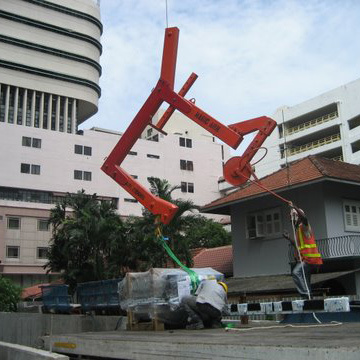 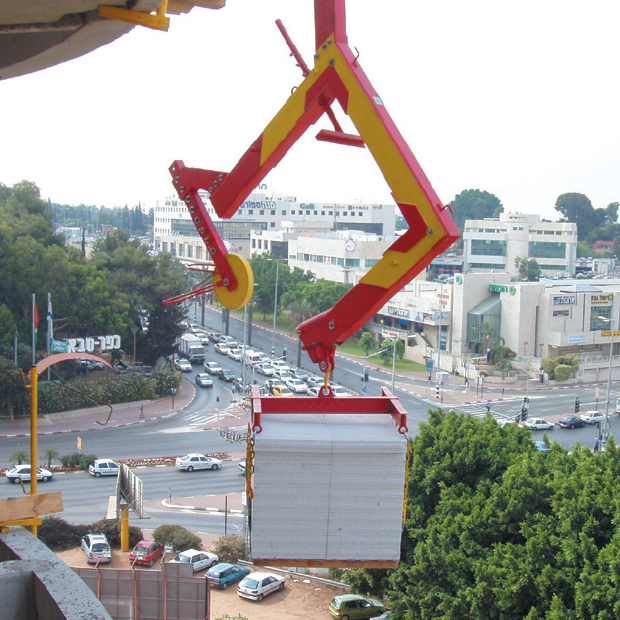 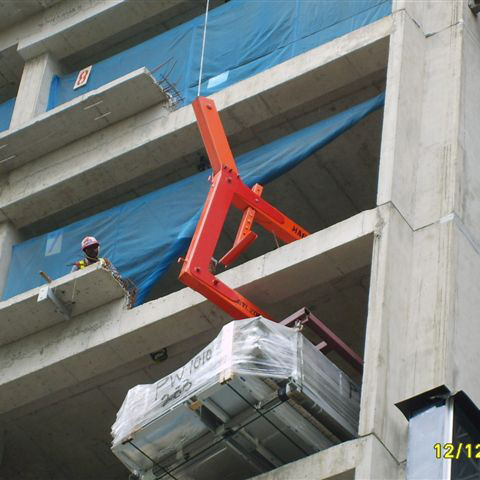 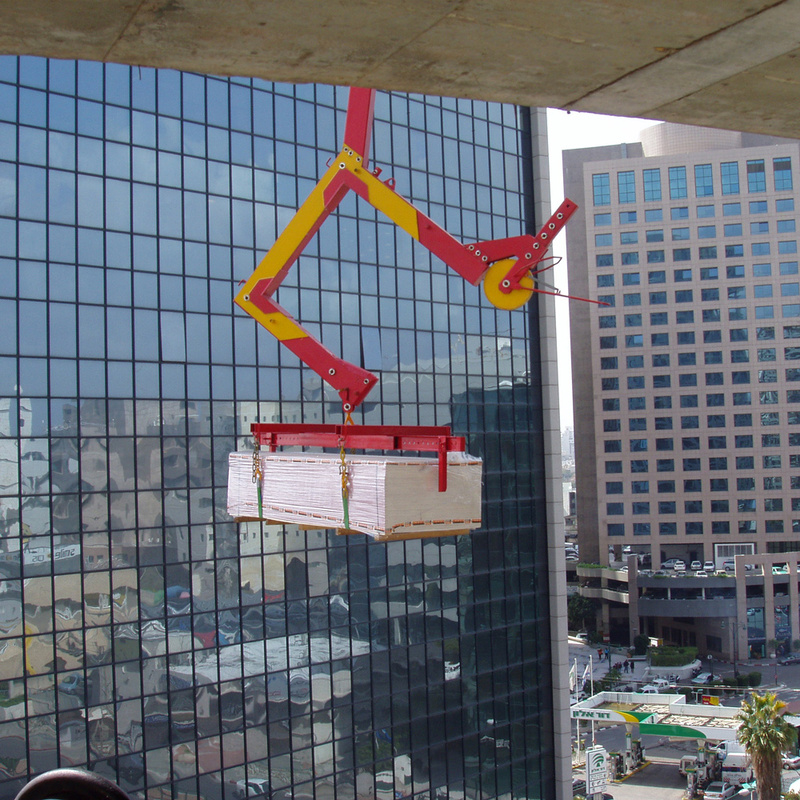 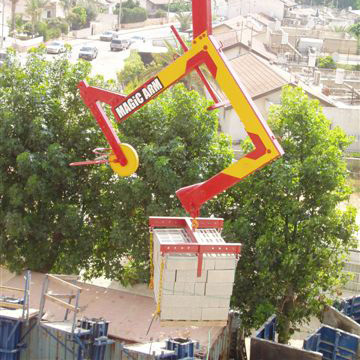 The Magic Arm can easily be moved around the perimeter of a building thus enabling loads to be lifted, to any part of any floor. 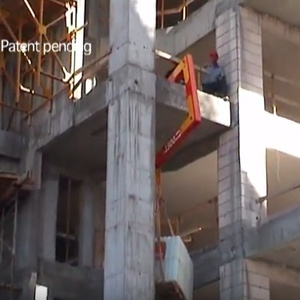 Reduces accidents and saves human life. 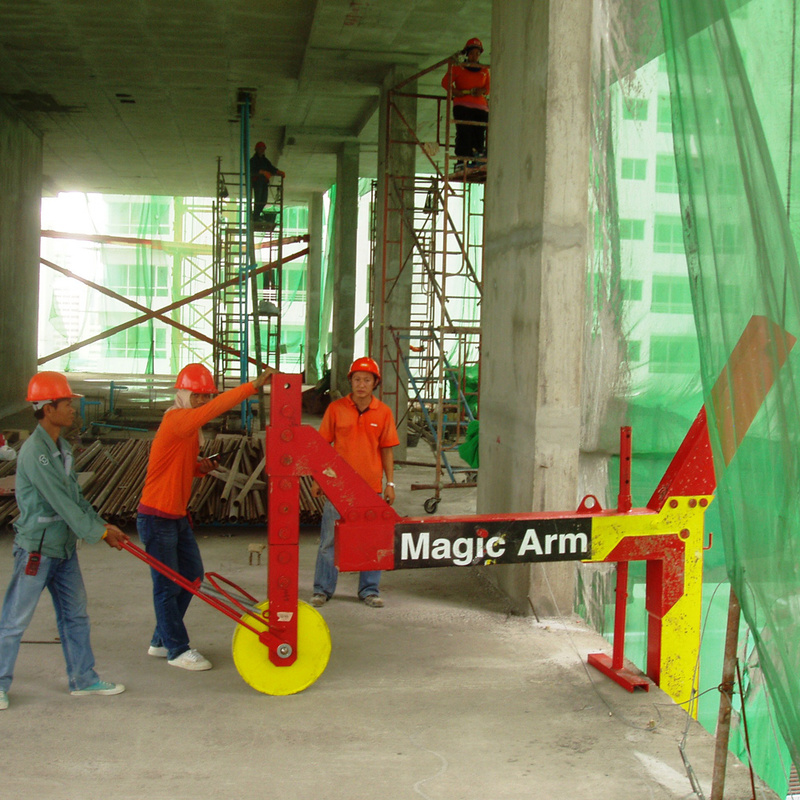 Increases productivity and saving costs. 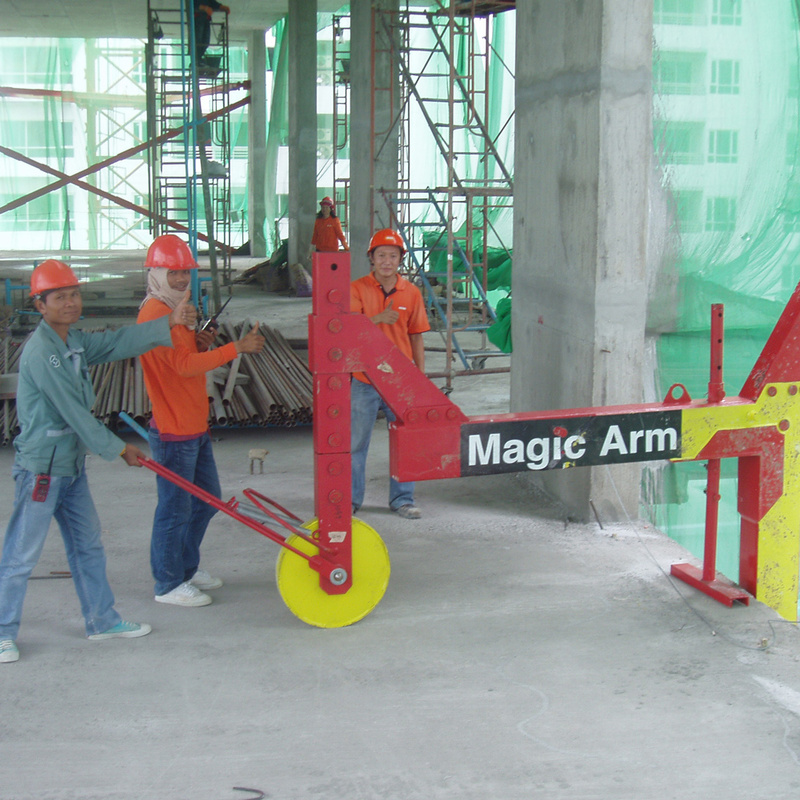 Reduces labor, expense and time. 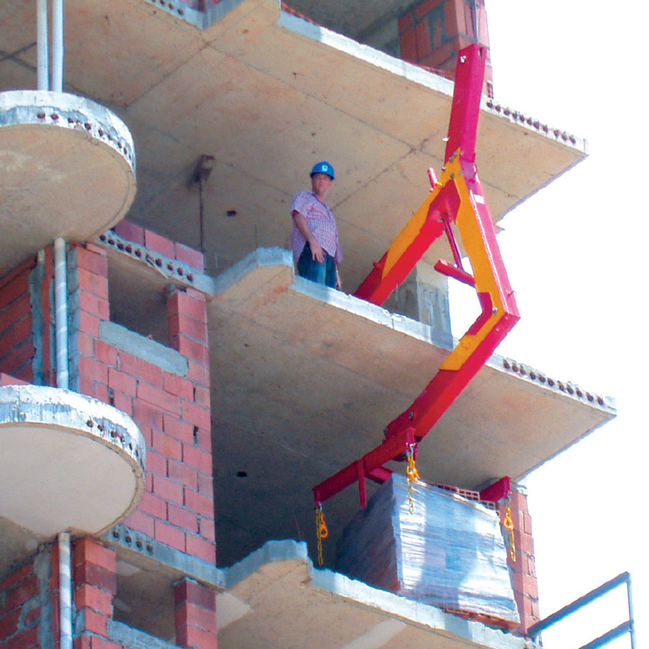 Eliminates installation and repositioning of external platforms. 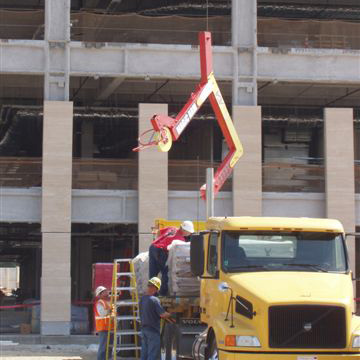 Directly unloads at any required location in the structure. 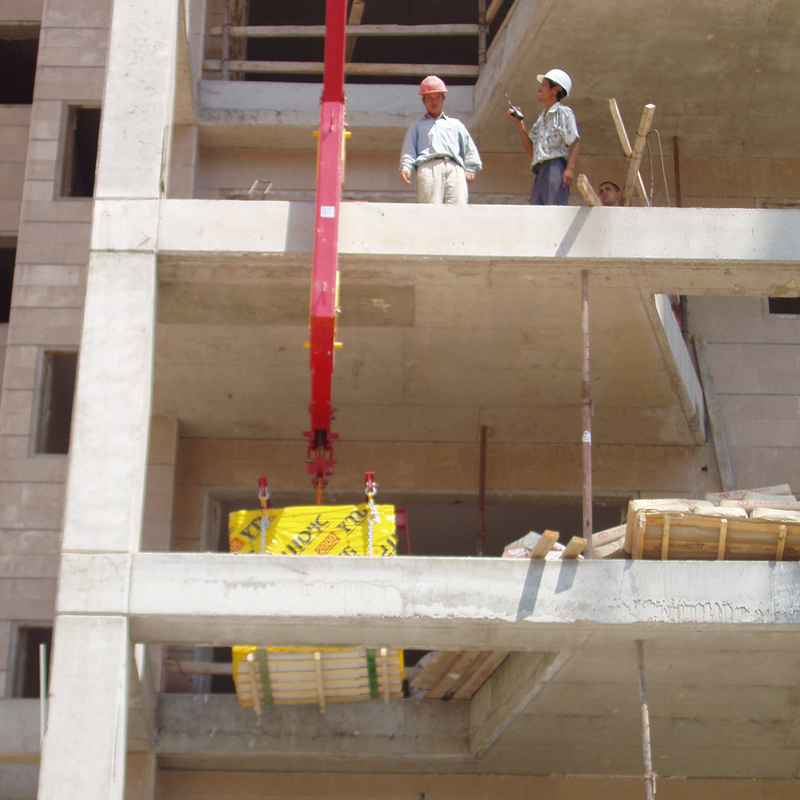 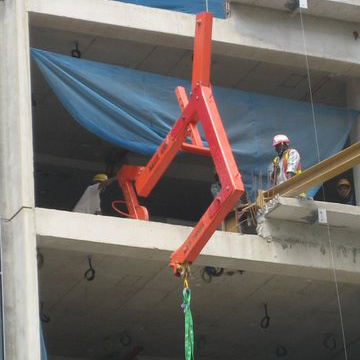 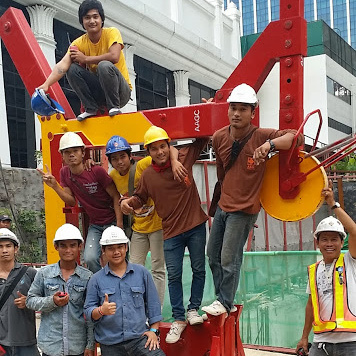 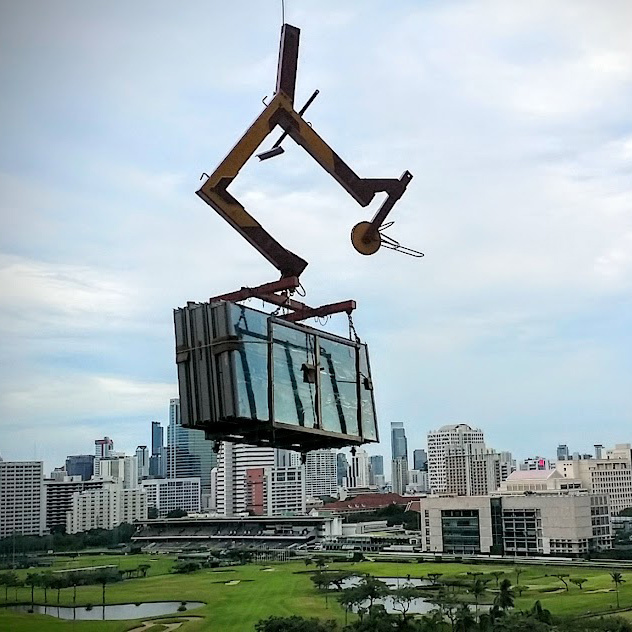 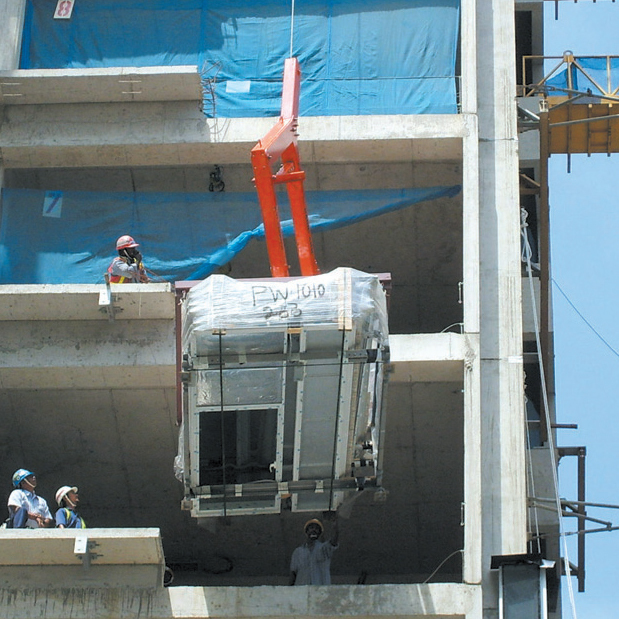 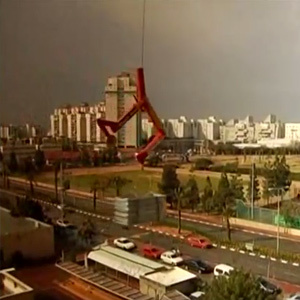 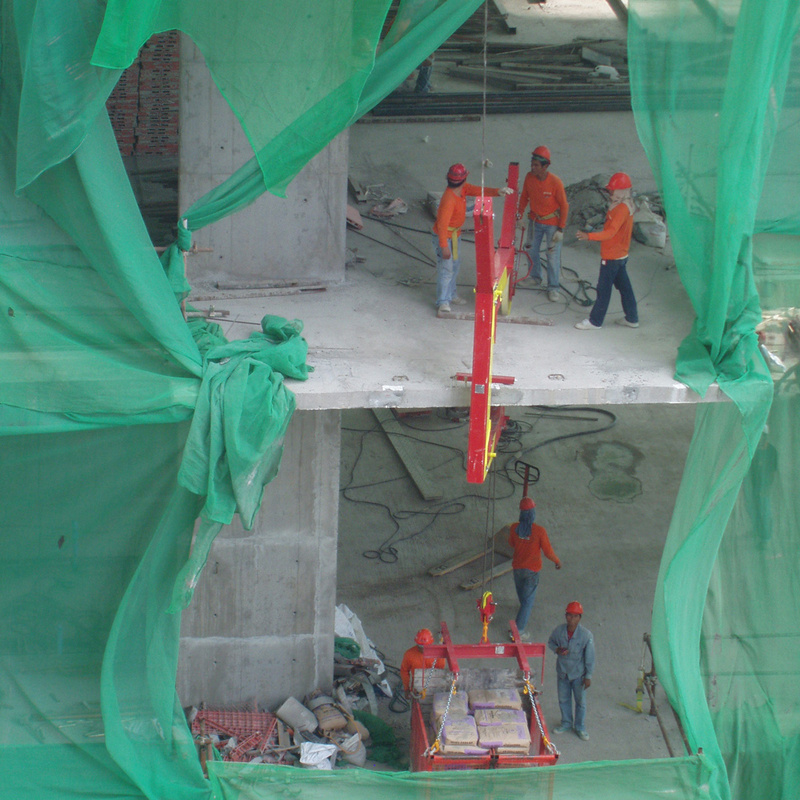 Reduces the lifting congestion on the crane. 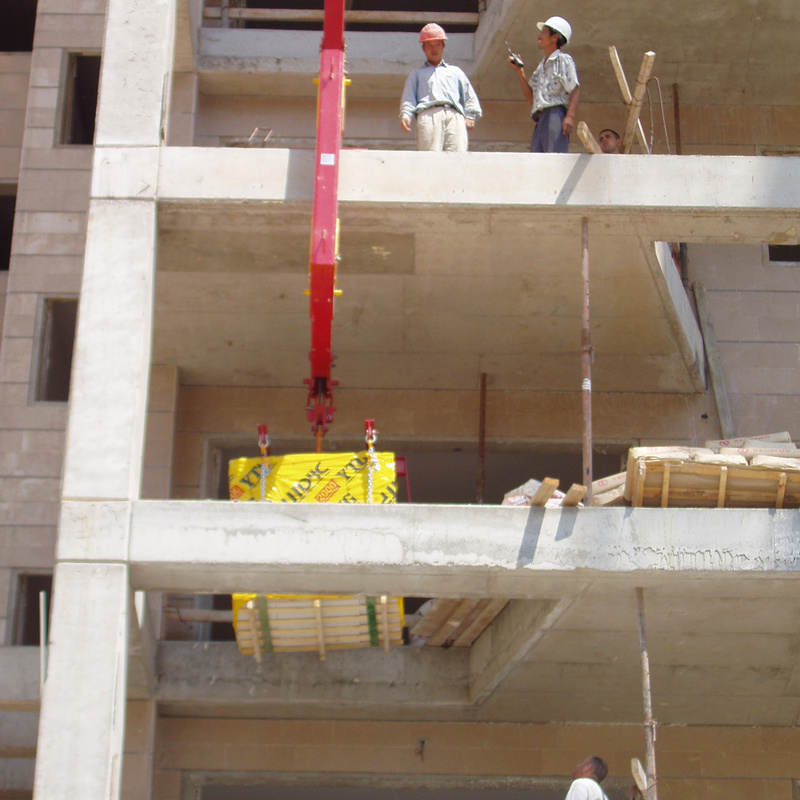 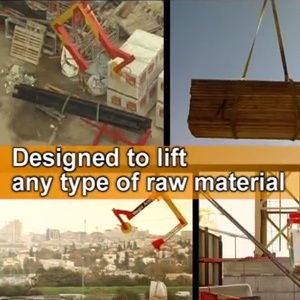 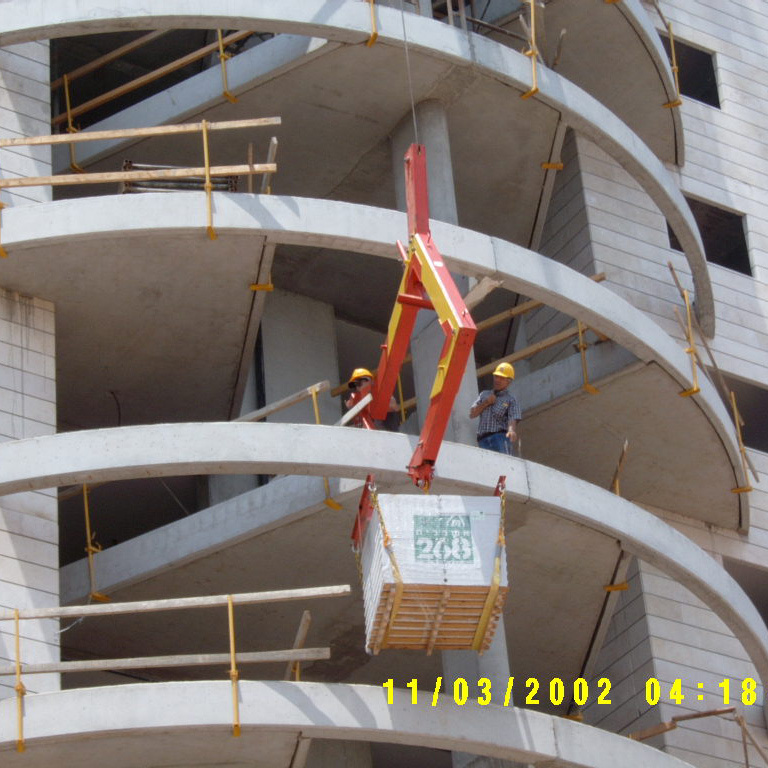 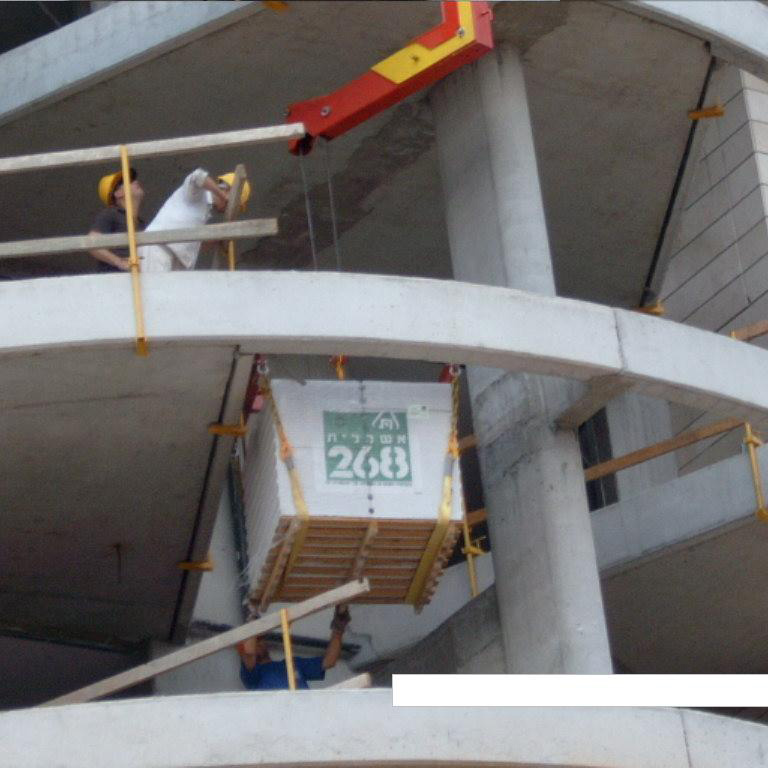 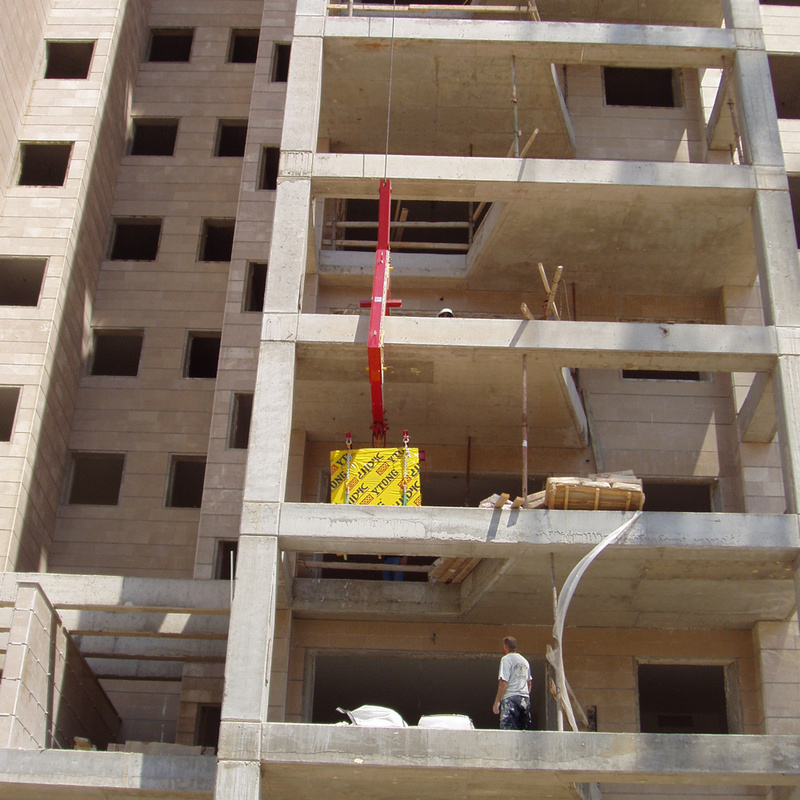 Minimal excessive weight load on the external structure of the building. 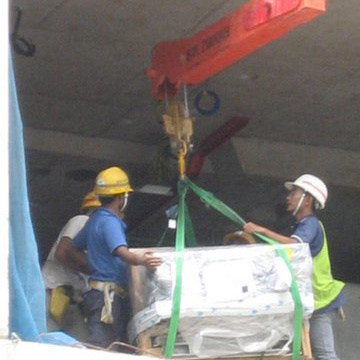 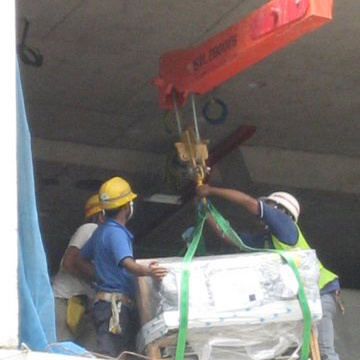 Everybody tries to insert the cargo to the floor, we insert the crane right inside the floor.